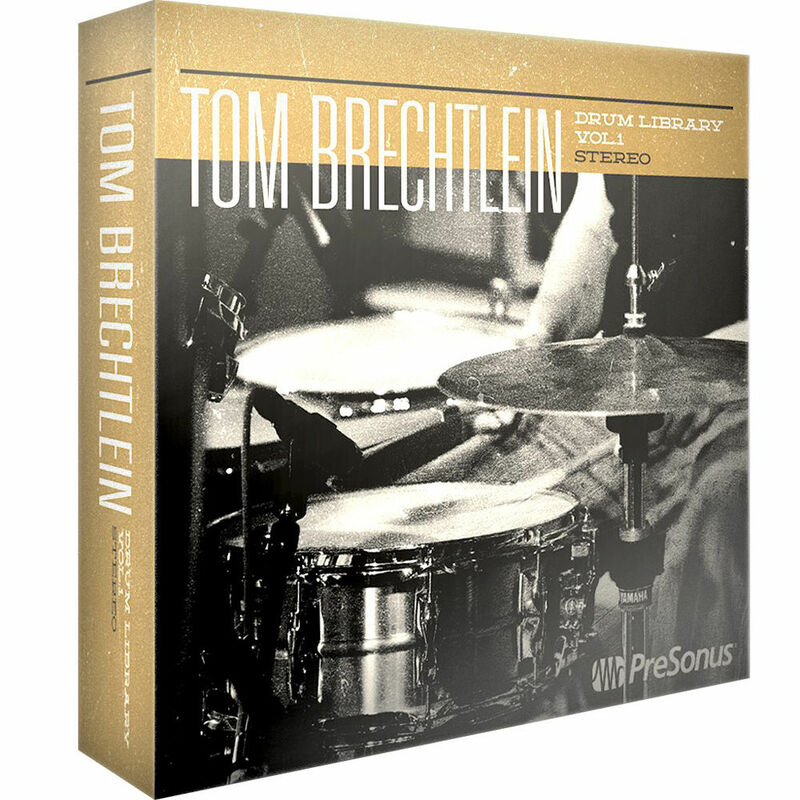 The PreSonus Tom Brechtlein Drums Vol. 1 - Stereo Edition features 676MB of stereo loops, one-shot samples, and multilayer Impact instruments performed by veteran drummer Tom Brechtlein in a variety of styles well suited for rock, fusion, jazz, blues, and funk. The library includes double drum kit loops that can be mixed and matched for endless combinations. The beats and grooves played by Tom include several of his signature techniques. The session was recorded in Presonus' River City Studio, built and designed by Walter Storyk Design Group, which provides remarkable acoustics.